I’m delighted to announce that Diane Baranello, CEO of Coaching for Distinction, is returning this year as a speaker/facilitator at our Friday night Evening Salon at Women at Woodstock 2018: “What Matters Most at This Career/Life Stage?” Diane is a Personal Branding Career Coach and Accountability Partner for mid-career women, a thought leader, and a writer. She has extensive experience training and coaching professionals in both the communications and financial services industries. 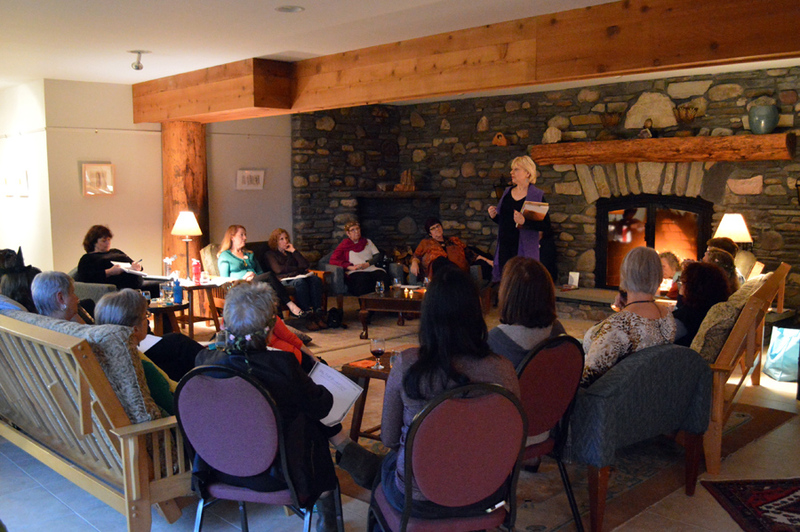 This is the fifth time she’s been a salon facilitator at a WAW retreat, by popular request! Diane will lead a discussion on methods and thought channels one can pursue in determining what matters most at this stage of our careers and/or our lives. It’s important to step back and ask ourselves that question, because it’s so easy to simply walk on and on, never re-thinking whether this path we’re on, which seemed so right 20 years ago, or 10, or even 5, is still the best path for us now. Time is passing; inertia is our enemy. Diane will ask you to reimagine your life, trade problems for possibilities, consider the risk of no risk, and to consider choices that may mean altering the course of your plans or pursuits. Come prepared to share, to engage and dig deeper to overcome personal challenges and unleash a world of possibilities. And for those of you who attended last year and wrote a “Letter To Yourself” at Diane’s Evening Salon, you should have received your letter from her in mid-September, nearly a year after you wrote it. Bring it with you; it surely will be most illuminating if you wish to share it! Diane will bring some thought-provoking questions to the table that we each can ask ourselves; then she will guide us through creating our own personal Q&A that can lead to new insights. It could be something earth-shaking; it could be something very minor that would make an important change in your life for the better. Whatever it is, bring it on, indulge in a little wine and cheese, and consider the path that you’re on, and whether changing direction might be a good idea! This entry was posted in Ann's Blog, People at WAW 2018 and tagged Diane Baranello, evening salons, evening salons at Women At Woodstock. Bookmark the permalink.